Several perfumes are just about out of stock or completely out. This re-occurring new phenomena is a sign that the formulas need to be made in much larger batches when the materials allow it. I'm going to create a post that lives here toward the top of the journal titled Editions, so that you all know what edition is currently in stock, running low on etc. Here's the latest as I type this. GreenWitch in liquid form is completely out, more is in the works and will be back shortly. In the shop currently there are three vials with 1 gram. I discovered a bigger amber glass vial with 3.75 grams of perfume the other night in the studio, however it may already be spoken for. Keep in mind 1 gram is roughly equivalent to .036oz. There is about 1/4 ounce left of the original formula, although the client that has requested the 3.75 gram vial might take it. If you want to be put on a waiting list for it send me an e-mail at roxana (at) illuminatedperfume (dot) com. Another edition is currently in the works which will also be available as a solid. I already have the wax for this one which makes things flow much better. There is only 11 grams left of the 1st edition, which contains many precious distillates not currently available. When I had launched Vespertina in August of 2007 the formula contained quite a large amount of essences from when I was working in aromatherapy. Regrettably these essences are no longer on the market. 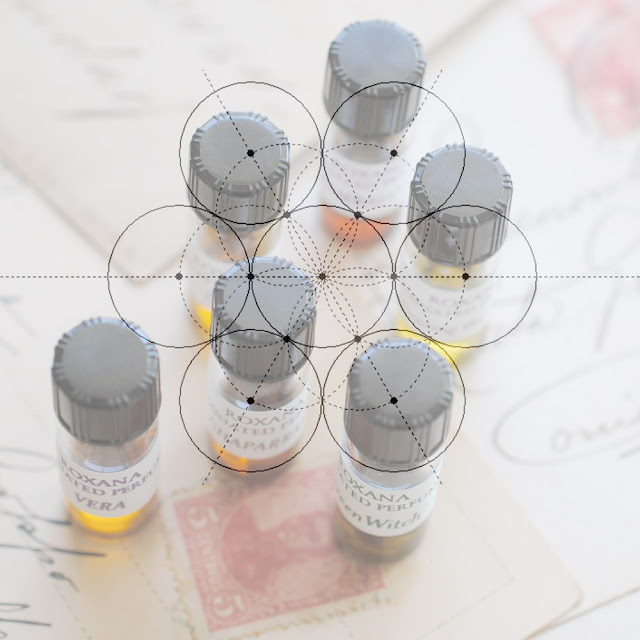 The next edition will shift slightly in its aromatic experience and be aligned with the fragrance of the solid since that one also is being re-constructed. I thought I was out of the synergy for the solid, however, I am not. I apologize if I created any panic.